Karma is a popular word in showbiz. The whole idea of karma has a cool factor, and here in the U.S. of A., cool is king in the entertainment industry. The problem is that often people underestimate its reality. Take the following story for instance. Once upon a time, I had a roommate in LA named “Jane” (fake name). We met through Craigslist when she advertised for a share of her Laurel Canyon bungalow. At first, things were great. Like me, “Jane” was in “the business”, a Hitchcock freak, and a neatnik. She was a public schooled, native Angeleno, who found life on the opposite side of the country fascinating. Since I was East Coast prep, we had some interesting conversations about how things worked on both coasts. Then “Jane’s” boyfriend “Tom” (pseudonym) got back into town. He had been out-of-state on location for a few weeks. In a short period of time, it became obvious to everyone that “Tom” had a crush on me. I was in a serious relationship, so the feelings weren’t reciprocal, but that didn’t cool his ardor. Talk about uncomfortable! OH, BROTHER! 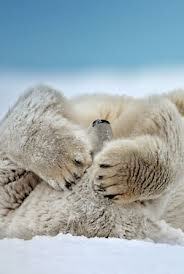 Even though “Tom” had assured her that his feelings towards me weren’t returned, “Jane” blamed me. I understood this, because after all, I was the reason for their break up. 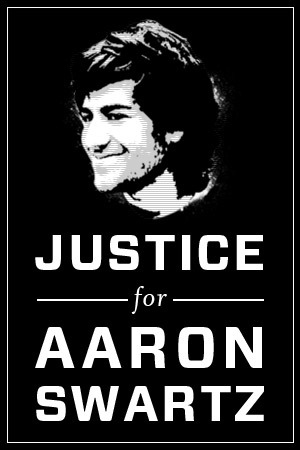 Making matters worse, they were producing a short film together and he spent a lot of time at the house. I came home one night and “Jane” demanded that I move out. That was fine, but her delivery was overkill. Needless to say, after that I was happy to find digs elsewhere. Flash forward a few years. I was working as Pierre David‘s Executive Assistant and guess who called in wanting a meeting to pitch a script? That’s right! Funny how life works. Pierre’s first assistant, Wendy had fielded the call to me. Pierre and I were in his office preparing for the day’s meetings. As usual, I put it on speaker. Imagine how surprised “Jane” and I both were when I took the call. Not knowing that Pierre was not only in the room, but within earshot of our conversation, “Jane” was rude and condescending. The call didn’t last more than a few minutes. I told “Jane” that I’d give Pierre the message and someone would get back to her. When it was over, Pierre wanted to know what happened. I told him. He knew right away that “Jane” had been out of line because I was still in a relationship with the person that I had been dating while I was living at her house. In fact, he and I were now living together. When it came to determining whether or not he’d accept “Jane’s” script and have it sent out for coverage, the way she had treated me played a big factor in his decision. Pierre is extremely loyal, which is one of the reasons he is one of the most respected executives in the industry. Nor is he a person that you want to leave with a poor impression. He didn’t take the meeting. Too bad for her because at that time, he had great relationships with not only Paramount, but Sony, New Line, and Dimension. While her career faded into obscurity, mine took off. You know what they say about karma. It’s a b-i-t-c-h! Did it make me happy? No, but it’s a lesson that I was grateful to observe up close and personal. It’s also not the only time I’ve seen karma play out. One of the most dramatic instances happened after someone libeled me. Within a couple of days, my tormentor’s writing hand was severely burned. Coincidence? I think not. I’ve also experienced it myself first hand. Yes, yours truly, has reaped her own rewards. If we’re honest with ourselves, haven’t we all? Moral of the story is, don’t burn your bridges. If someone else wants to implode things, let them. Take the moral ground, or at least be professional. If someone attacks you, take a walk, slam it out at the squash court, whatever…do NOT lower yourself to their level! More than anything, this is a business built on relationships. Make sure that your conscience is always clear. 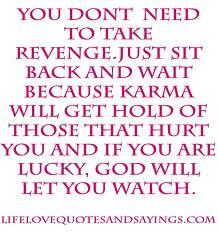 Because if it’s not, I guarantee at some point when you least expect it, Karma will pay a visit. 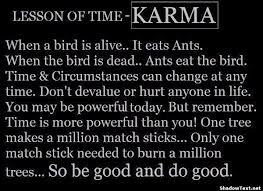 Have you seen karma in action? Do you believe in it? I’d like to know. Leave me a comment below, because you know…comments really do ROCK! © 2011-2014 Cinema Profound All Rights Reserved. Tags: Buddhism, Business, Craigslist, East Coast of the United States, Editing, Film, Fisker Karma, Jane, Karma, Laurel Canyon, Pierre David, Plug-in hybrid, Pure land, Reincarnation, Sidney Peck, Sony, WordPress, Writing. Bookmark the permalink. Thanks for sharing, great story and wonderful words of wisdom!!!!!! Glad it resonated with you. Thanks for reading and commenting! Awesome post. 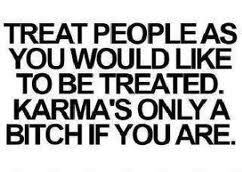 Yes Karma is great. The result of a person’s actions as well as the actions themselves. It is a term about the cycle of cause and effect. 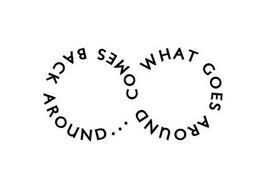 According Karma, what happens to a person, happens because they caused it with their actions. Everyone’s entitled to their own POV. Whether one believes in karma or not, I think the most important thing to take away from this is to treat others as you would like to be treated. Take the higher ground and get on with your life with a smile. God has a way of dealing with those who don’t 🙂 Wonderful and fun blog!! Exactly! 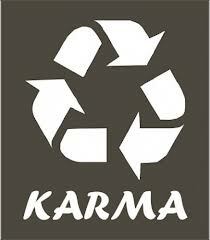 I chose the word karma because people bandy it around casually, and it’s actually a deep concept when you really think about it. Yup. I love the Golden Rule, but let’s face it, if I wrote a blog with that as the title probably few people would read it these days. Thanks! © 2011-2014 Sidney Peck/Cinema Profound All Rights Reserved. **PRIVACY NOTICE: Warning--any person and/or institution and/or Agent and/or Agency including but not limited to the United States Federal Government using or monitoring/using this website or any of its associated websites, you do NOT have permission to utilize any personal information, nor any of the content contained herein including, but not limited to: photos, comments, written material and all other forms of personal information. You are hereby notified that you are strictly prohibited from disclosing, copying, distributing, disseminating, or taking any other action with regard to this website and the contents herein without the written consent of the owner and creator. The foregoing prohibitions also apply to your employee(s), agent(s), student(s) or any personnel under your direction or control. The contents of this website are privately owned and legally privileged and confidential information unless otherwise stated. Please Join Me by Pledging! A project to share something you’ve learned and how you came to learn it. A poet's tale... a person's journey. The point at which people or events are so awesome, things start exploding.